Unlimited eye care all year - including comprehensive eye examinations, dry eye appointments and low vision assessments as required. Unlimited access to our latest diagnostic equipment (e.g. the OCT scan) at no additional cost. 25% discount on Spectacles and Sunglasses. 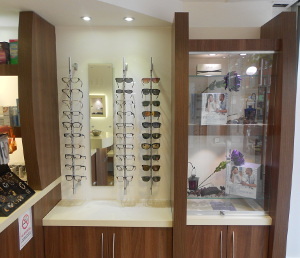 Professional advice from our experienced Optometrists whenever you need it. To our contact lens wearing patients we offer membership to visionplan Contact Lenses, the benefits of which are the same as the standard visionplan but include contact lens aftercare appointments and discounted contact lenses. The visionplan and visionplan Contact Lenses allow you to spread the cost of your eye care whilst giving you the peace of mind knowing that you can have access to all the professional services you require without additional cost. With a 25% discount on spectacles and sunglasses the visionplan and visionplan Contact Lenses make it that much easier to stay up to date with the latest lens designs and eyewear trends. Registered office: 26 Yardley Park Road, Tonbridge, England, TN9 1NF.